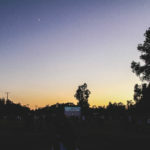 Wow – what a night! 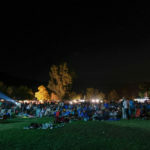 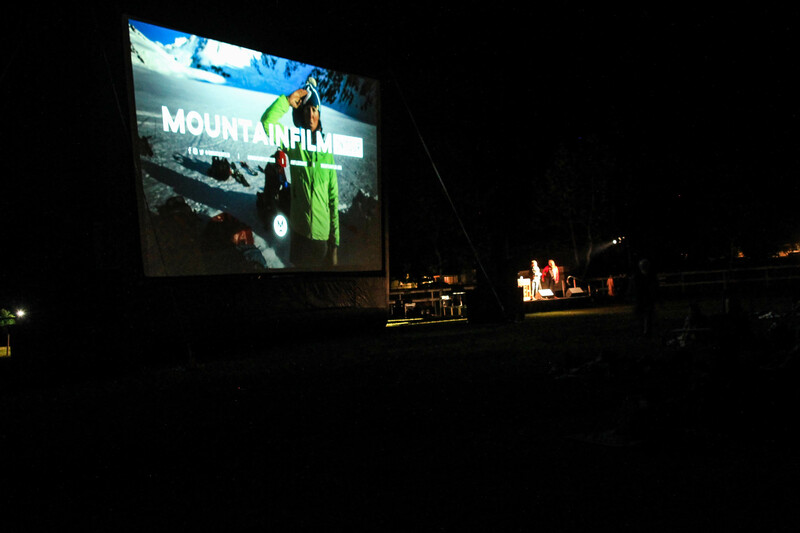 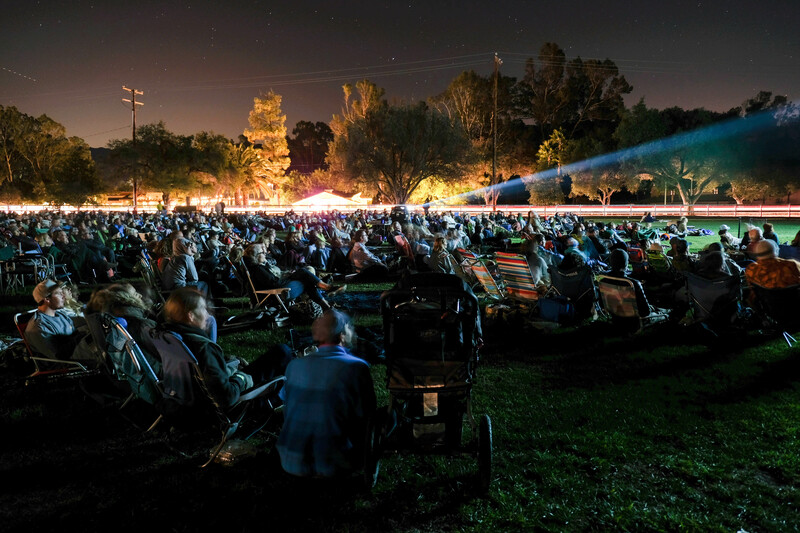 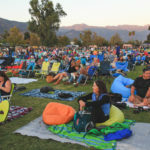 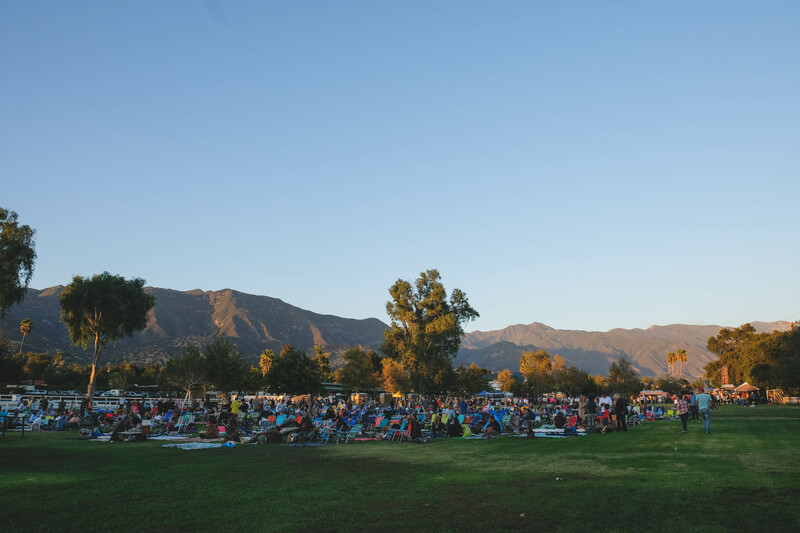 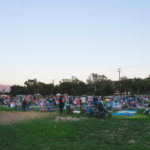 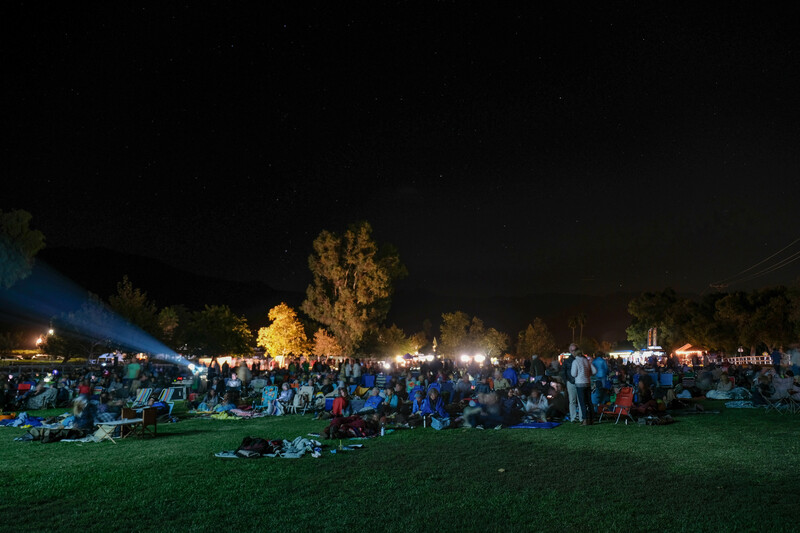 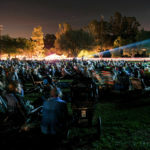 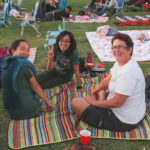 Thank you to the 1,500+ people that came out to our Mountainfilm on Tour event September 23 and made it such a success! 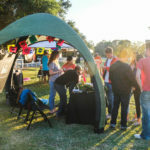 We had such an awesome time and we hope you did too! 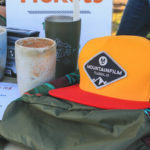 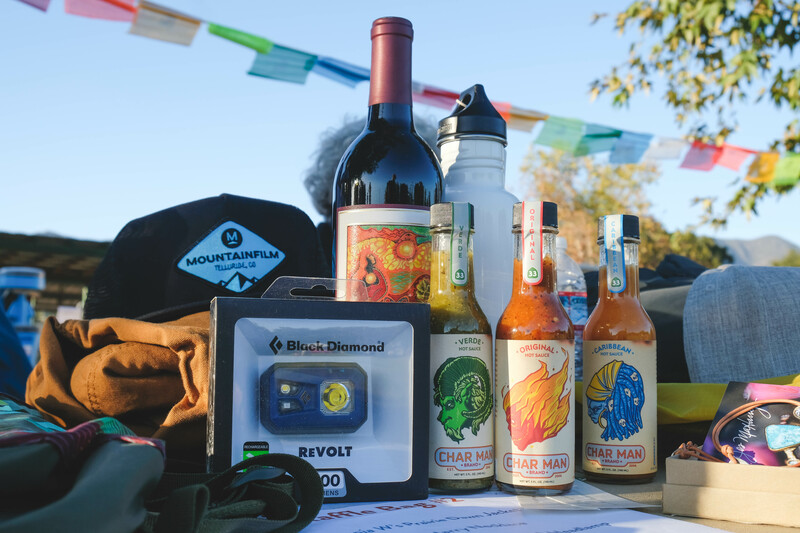 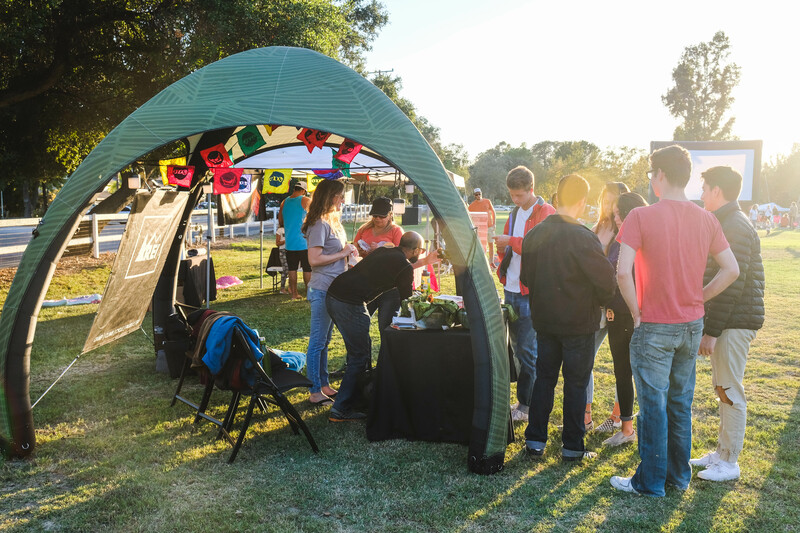 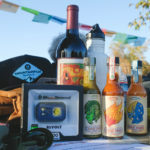 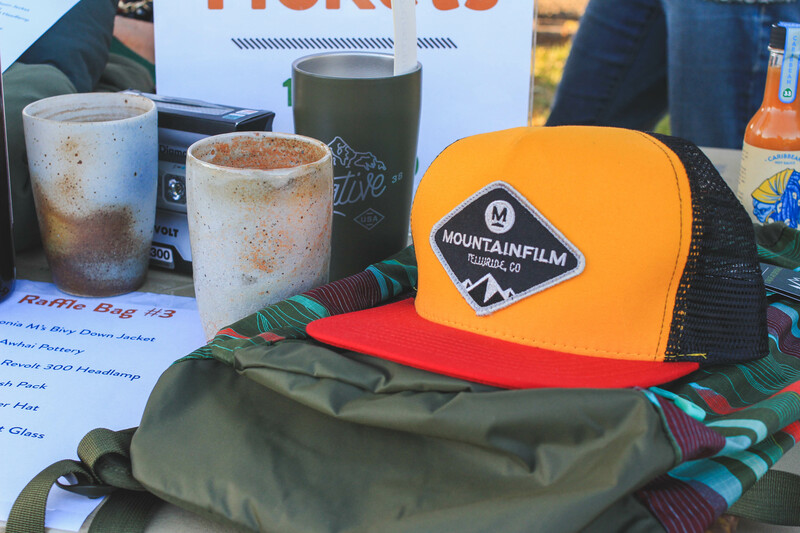 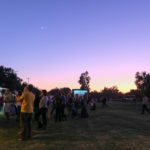 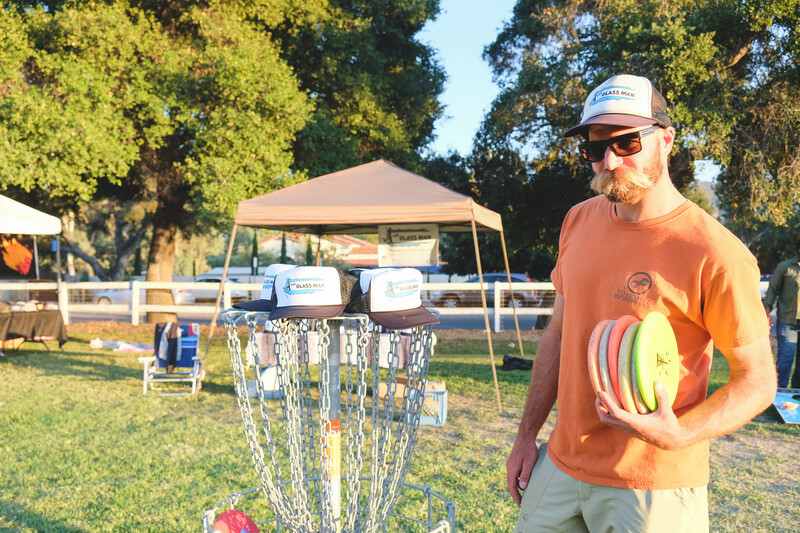 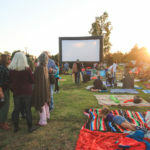 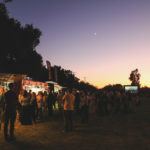 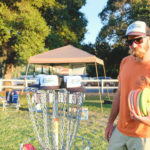 Patagonia – your sponsorship made this event happen – thank you. 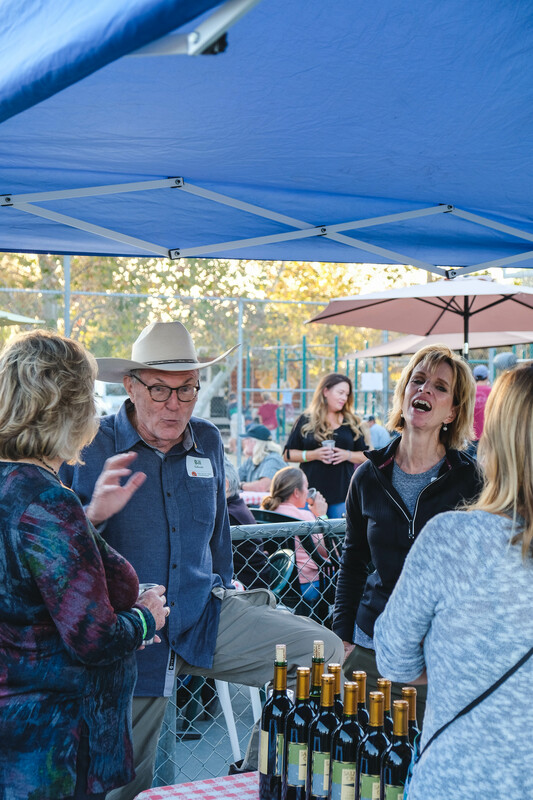 Thank you to Daniel Patrick Finley (@danpatfin) and Mariana Abaroa (@easytobreathe) for a great job photographing our event. 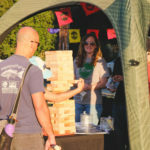 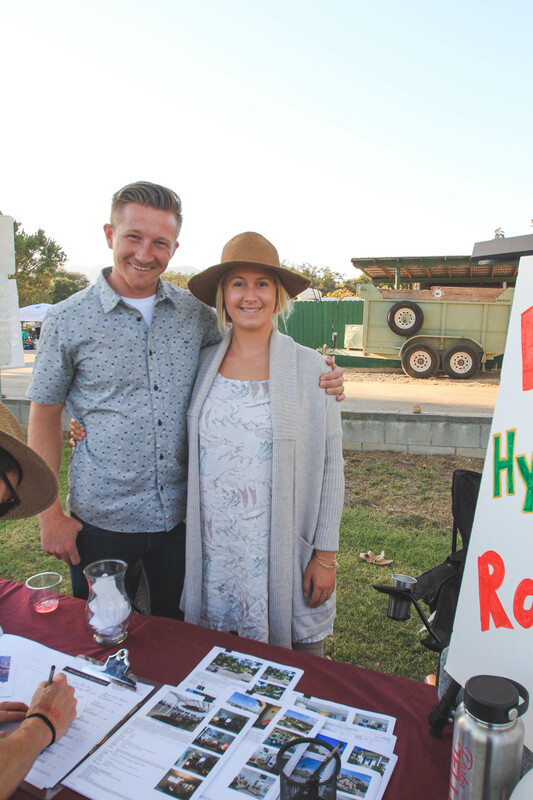 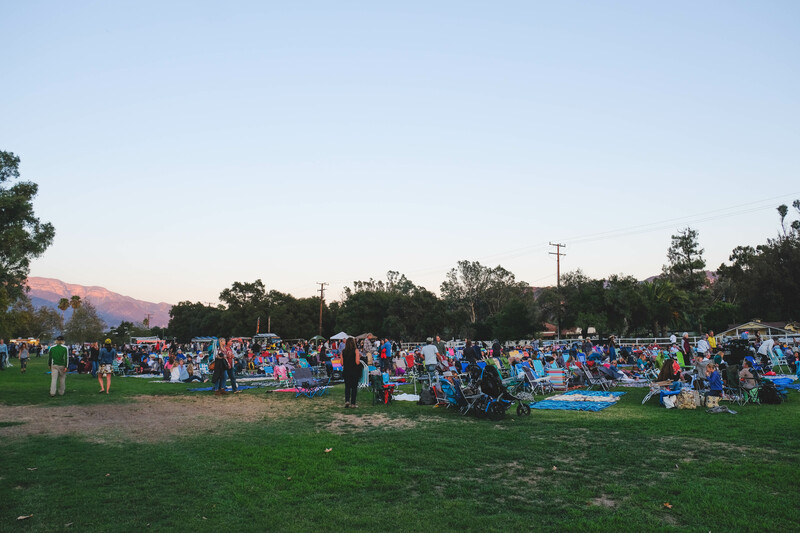 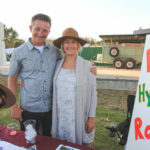 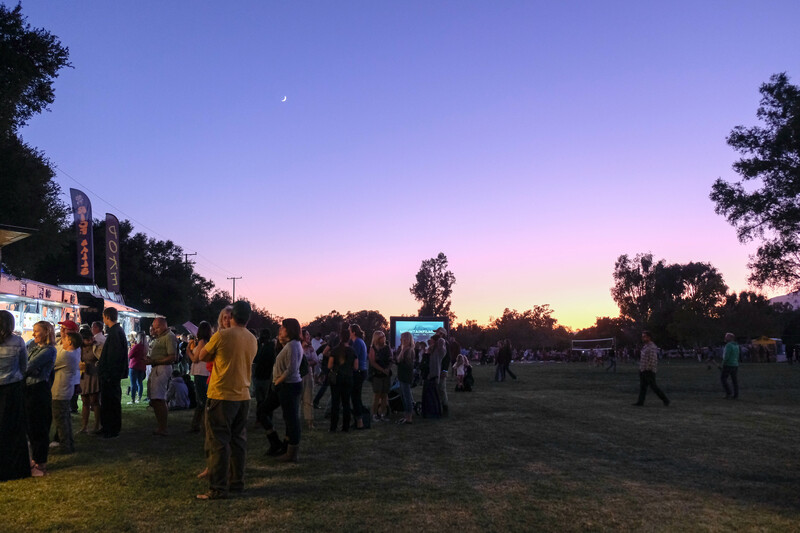 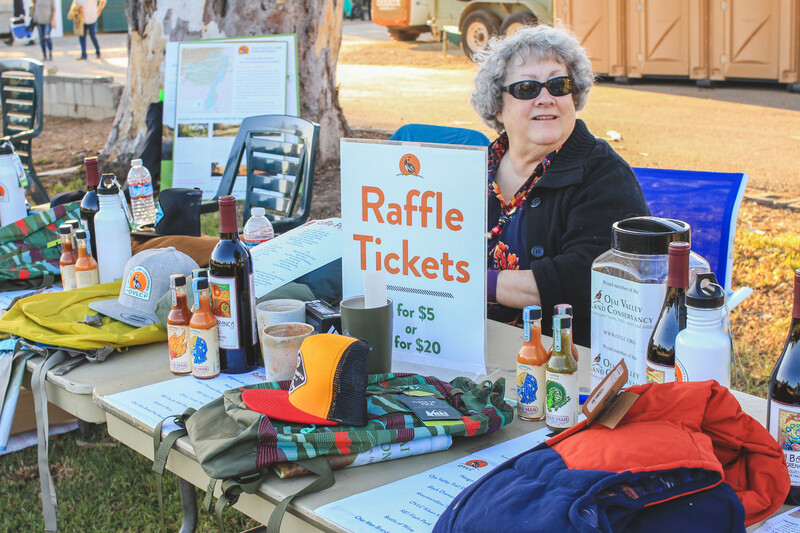 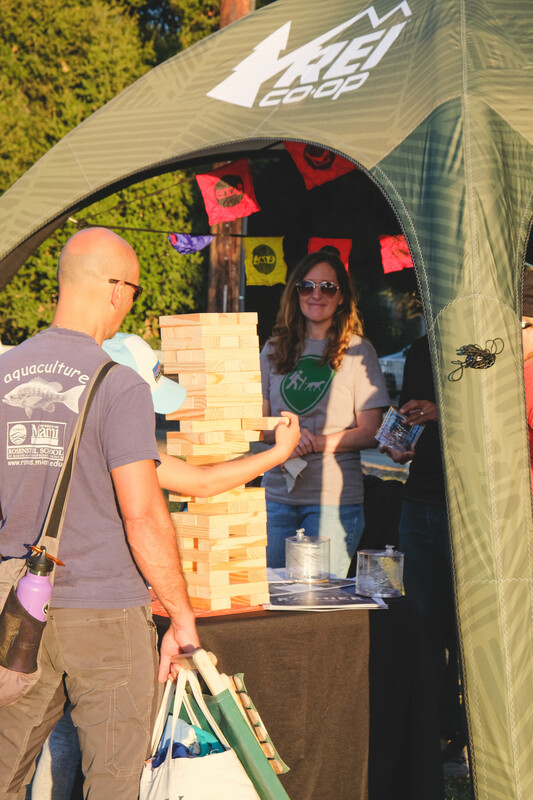 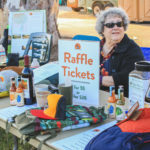 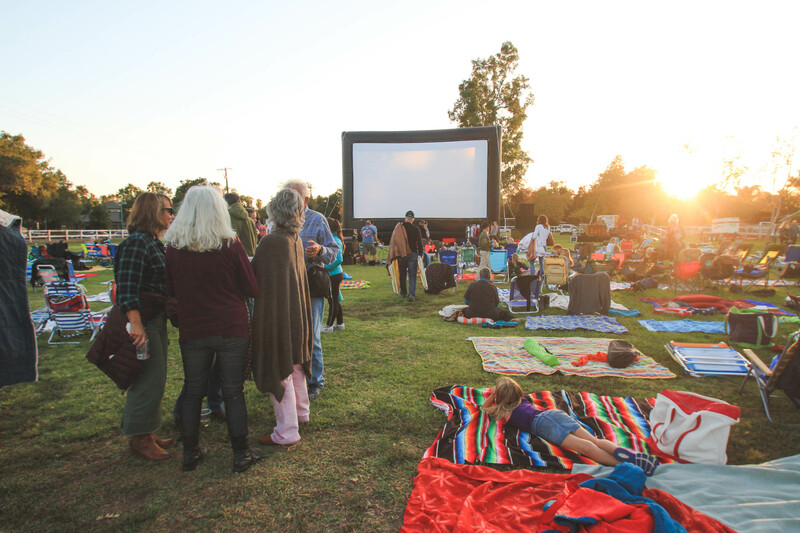 Thank you to all our Wild About Ojai partners and Business Sponsors who came out to support us (California Solar Electric, Char Man Brand, The Glass Man Professional Window Washing Company Inc., Parker Jellison and Awhai Pottery), and REI for providing giant Jenga! 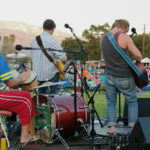 Vaughn Montgomery and the chillz did a fabulous job entertaining us – many compliments! 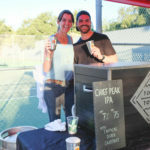 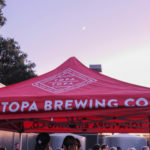 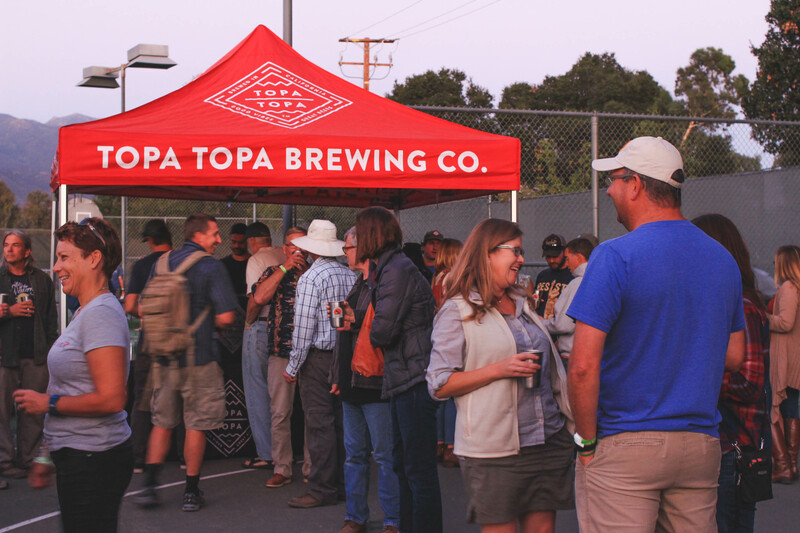 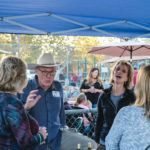 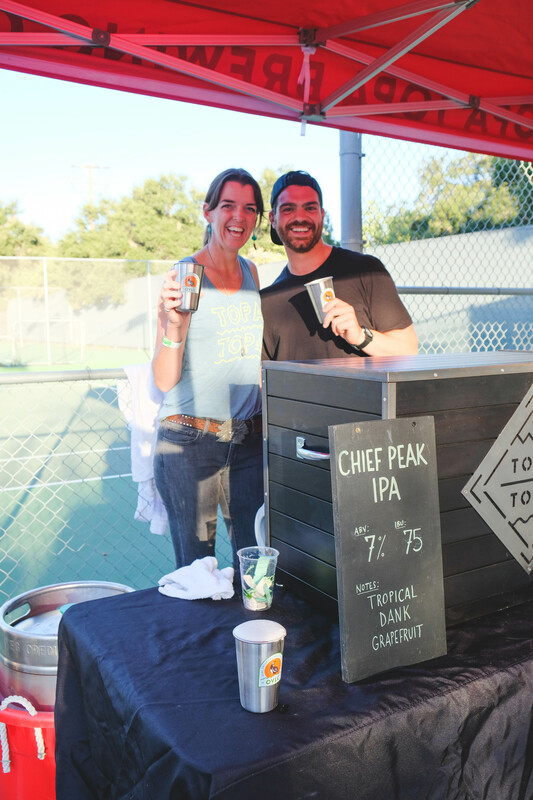 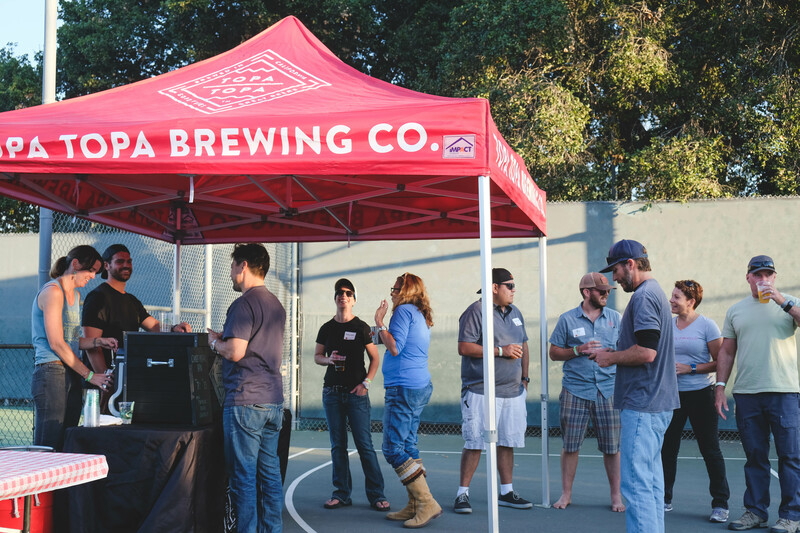 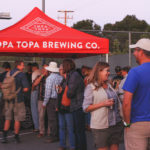 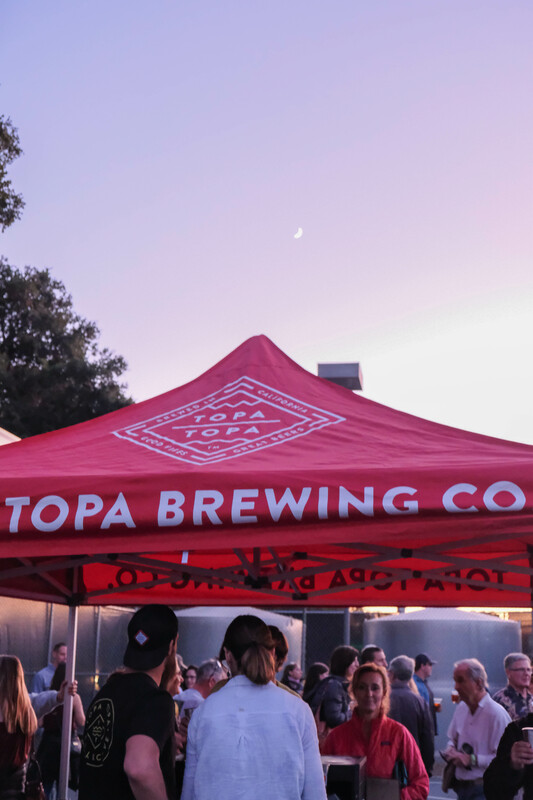 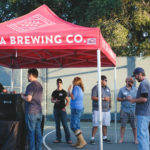 Topa Topa Brewing Company and OBC – thank you for donating such incredible beer- and Salmon Creek for sponsoring the wine – you rock! 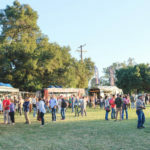 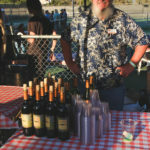 The beer/wine garden was a hit. 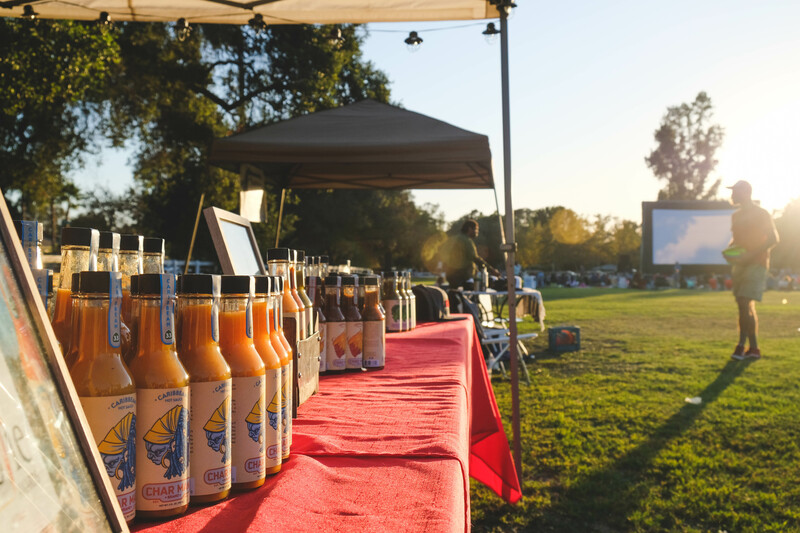 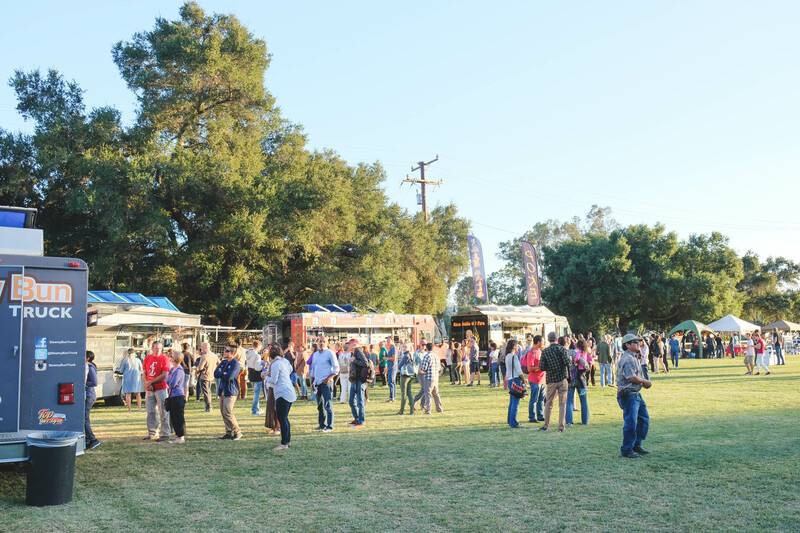 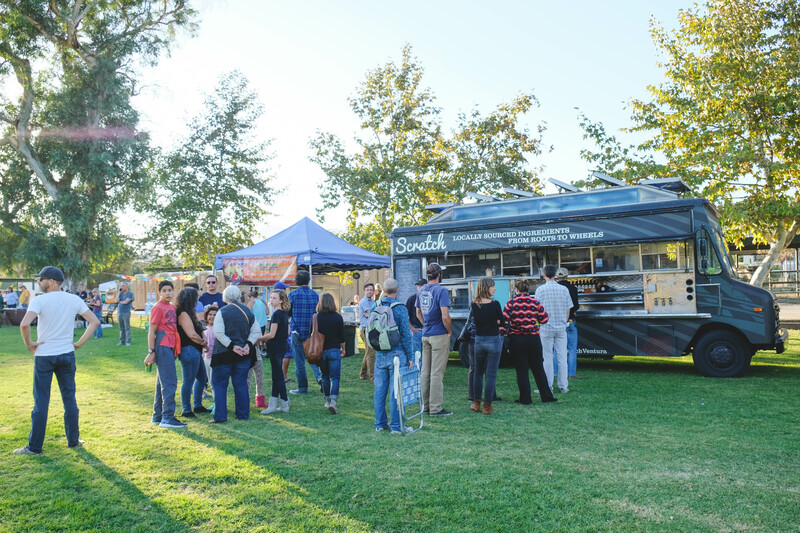 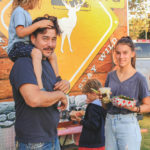 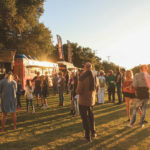 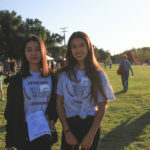 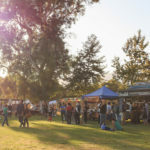 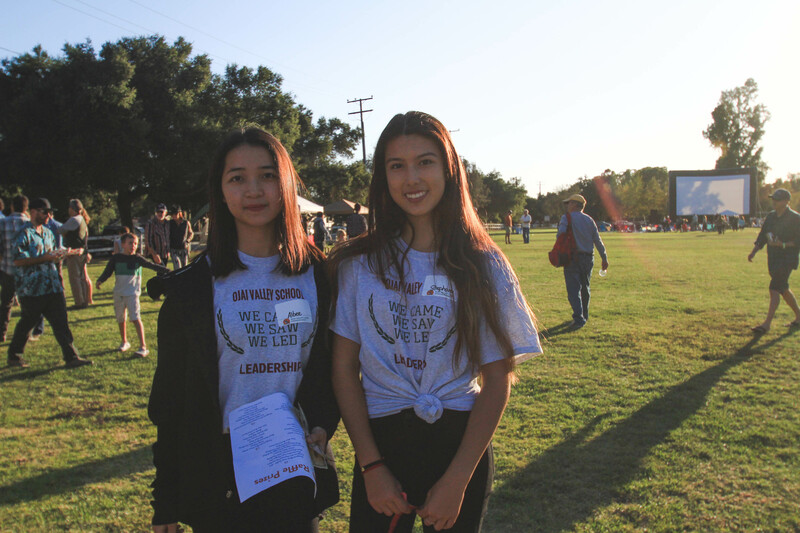 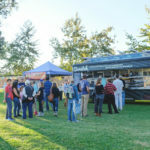 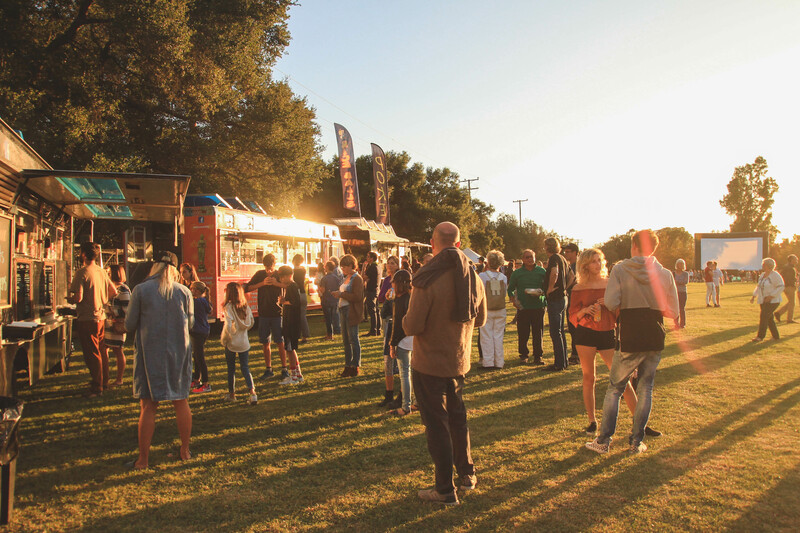 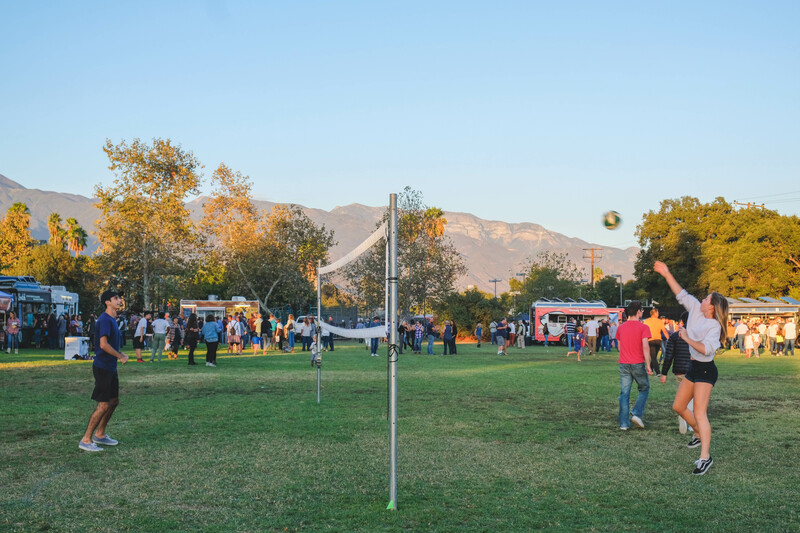 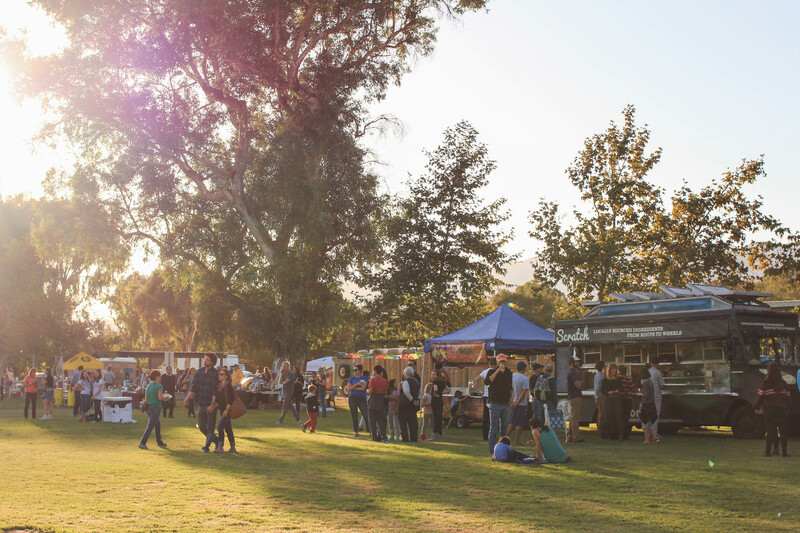 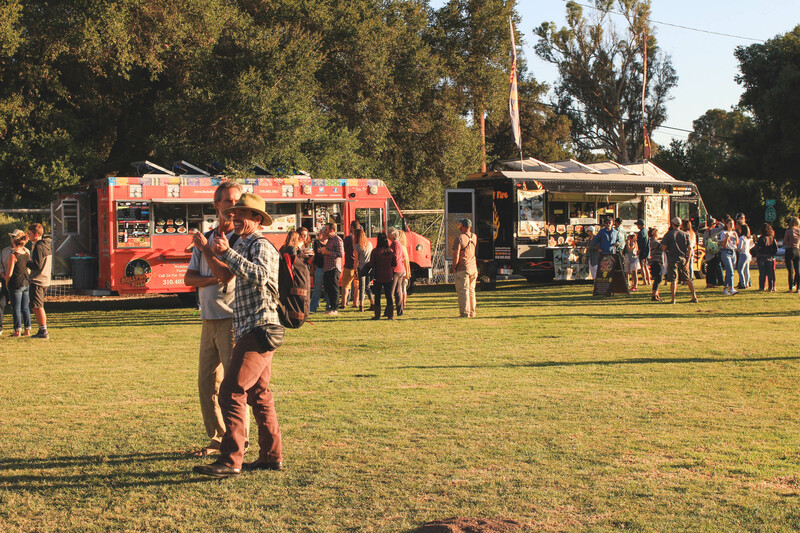 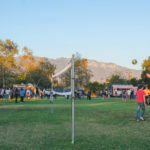 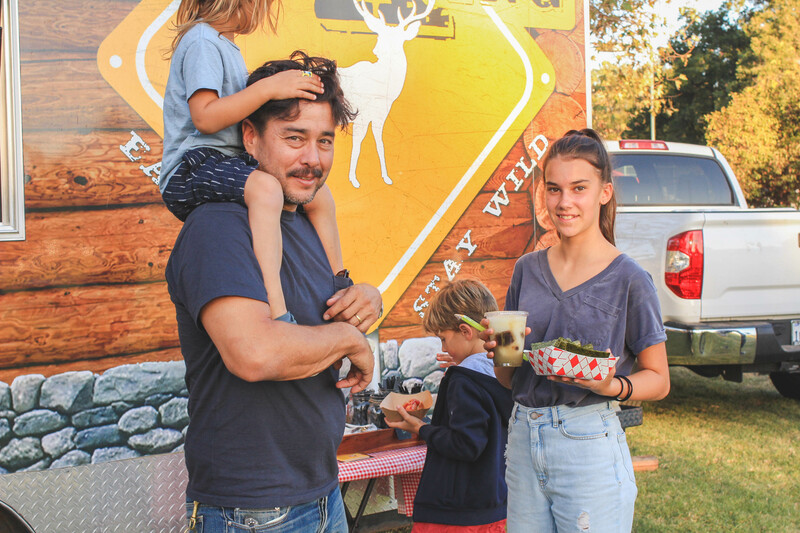 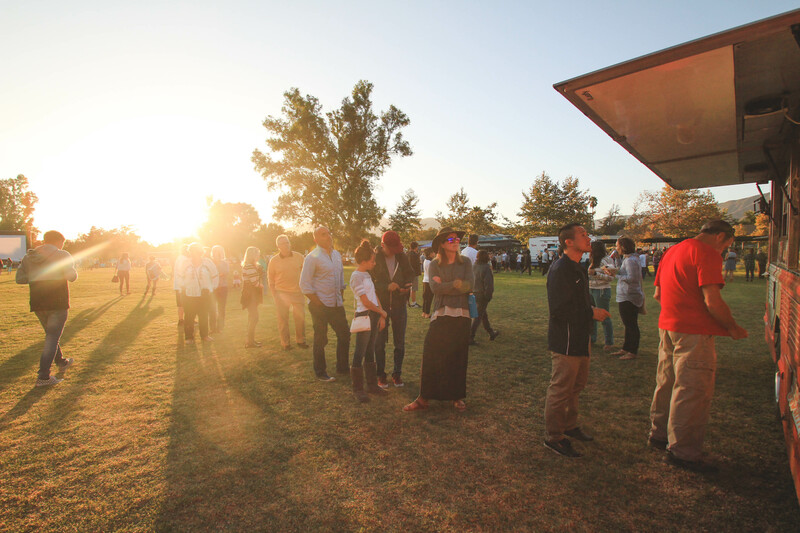 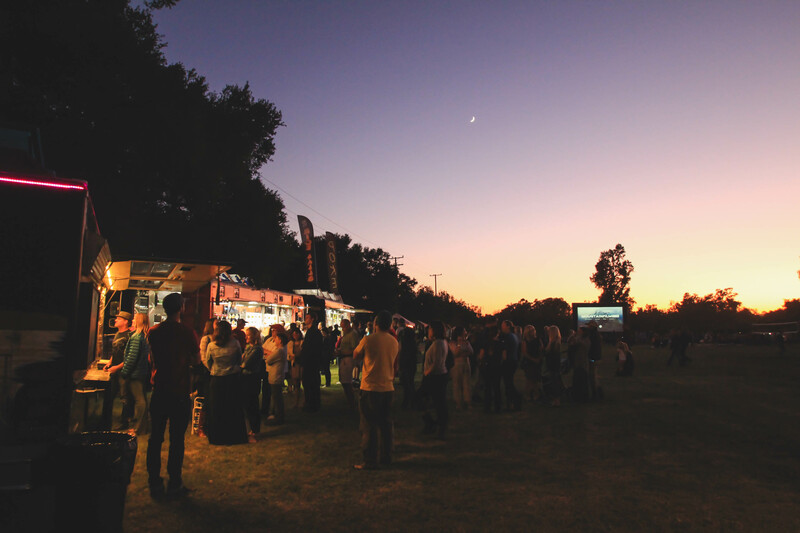 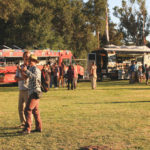 Thank you to the food trucks for coming out (Scratch, Rice Balls of Fire, Middle Feast, Deer X-ing, Me Gusta Tamales, SoCal Comfort Food, Mr. Softee, and Bollywood Bowl) and supporting the OVLC. 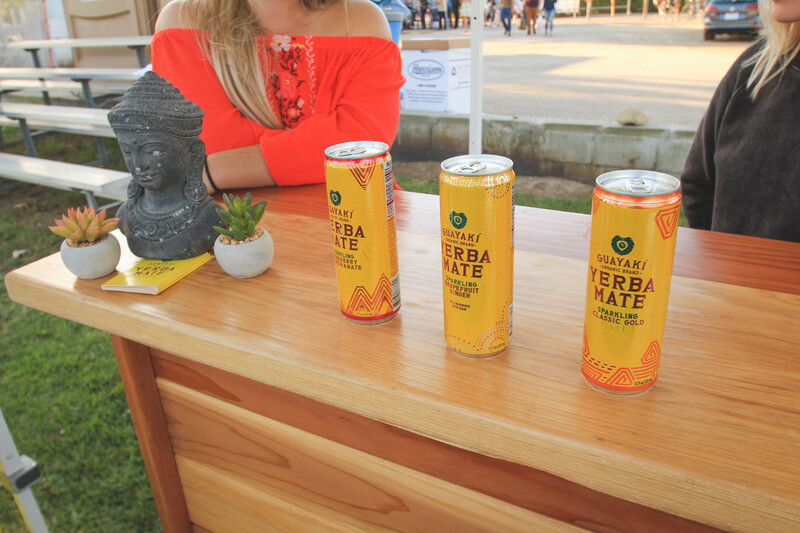 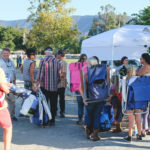 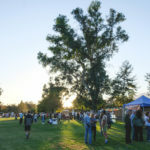 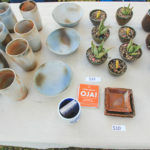 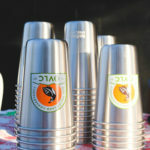 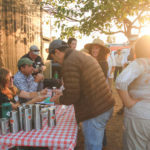 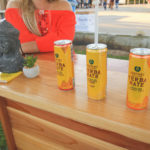 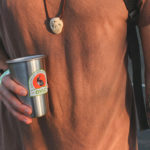 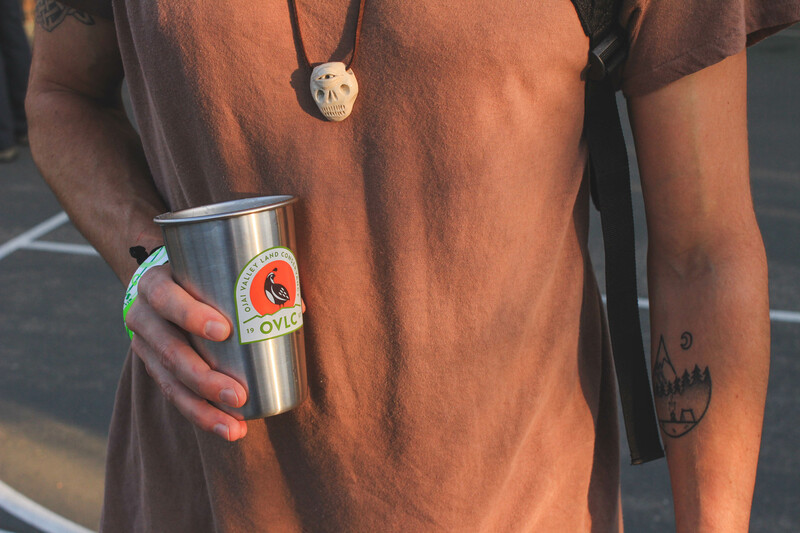 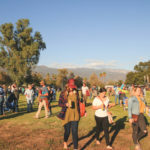 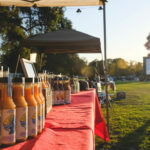 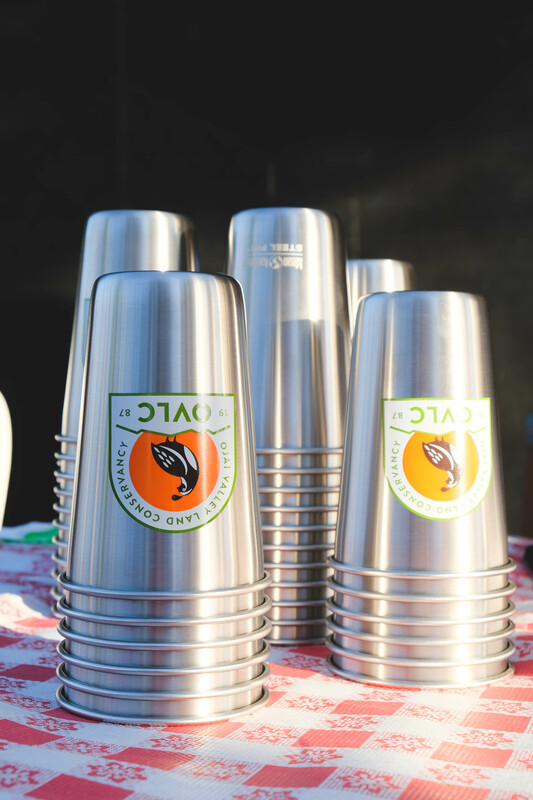 Many thanks to Guayaki for providing organic yerba mate, The Mob Shop and Ojai Century Bike Rides for providing bike racks, and the Ojai Valley Inn and Spa for generously providing parking. 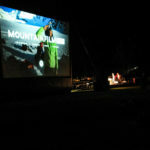 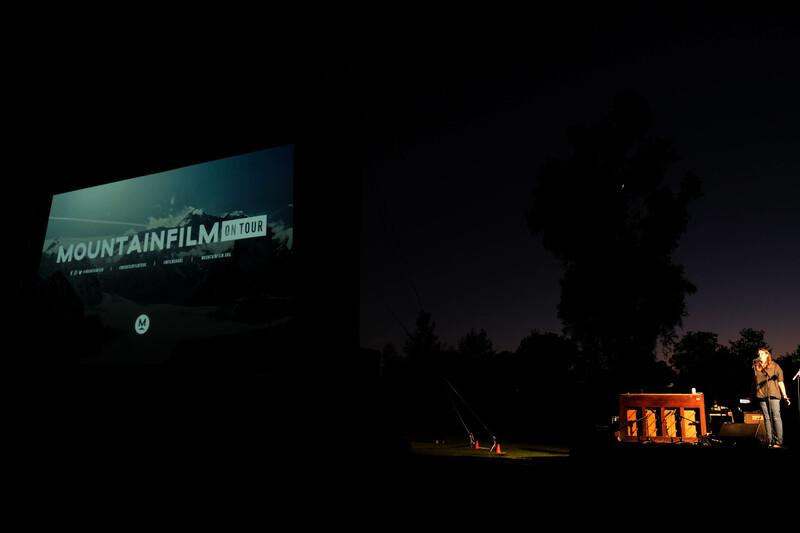 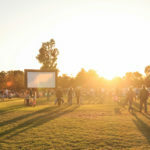 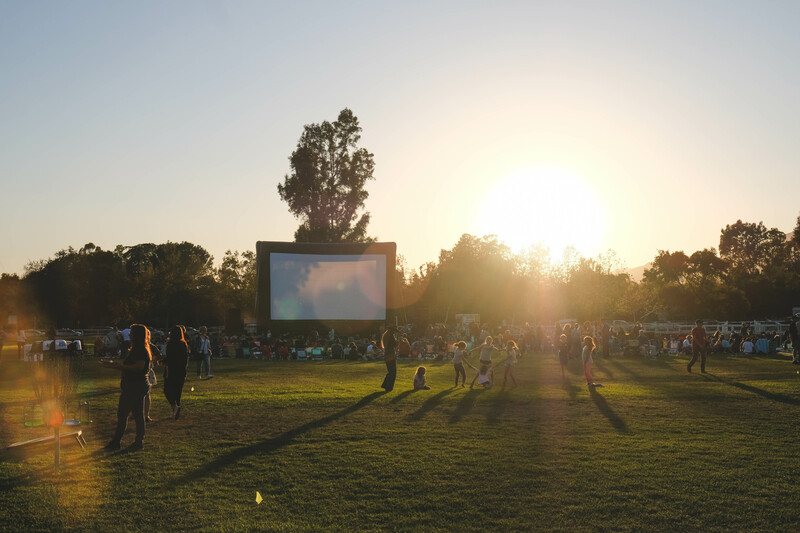 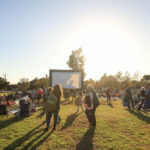 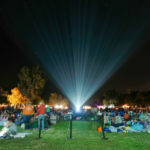 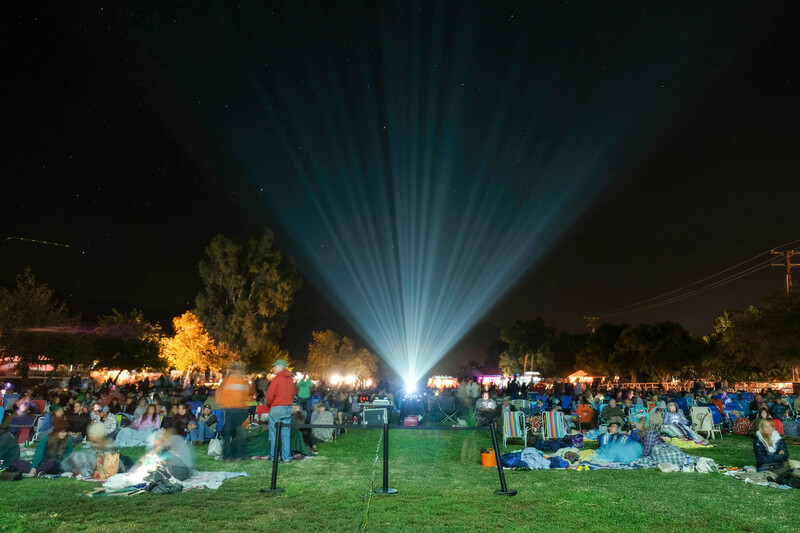 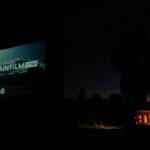 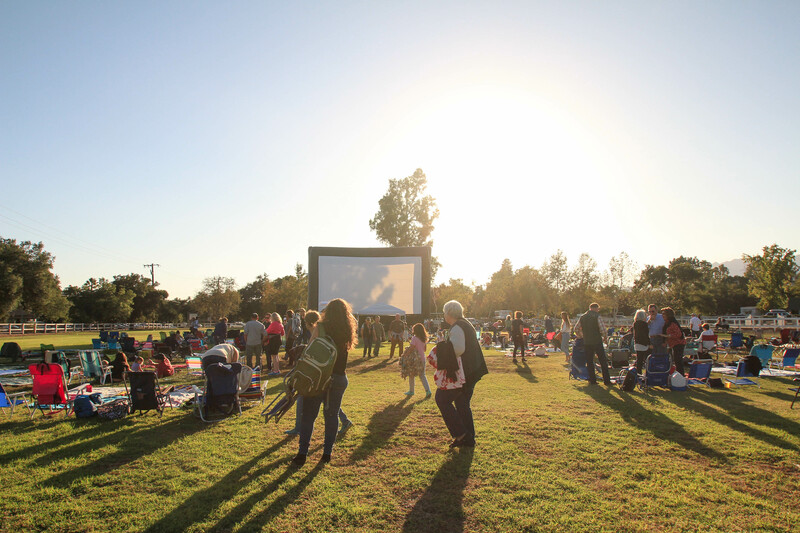 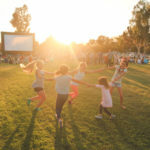 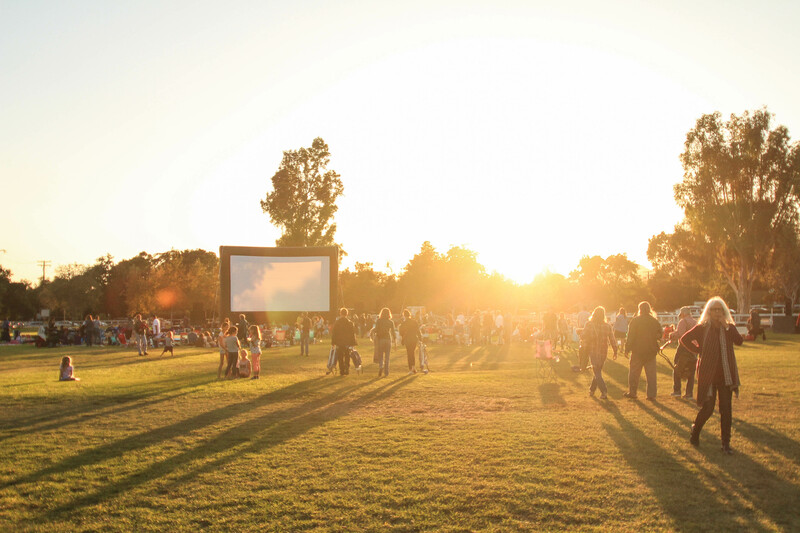 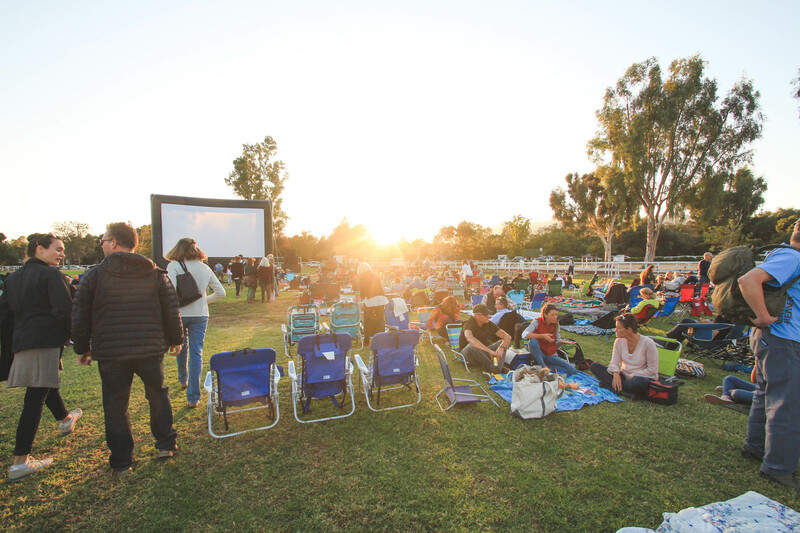 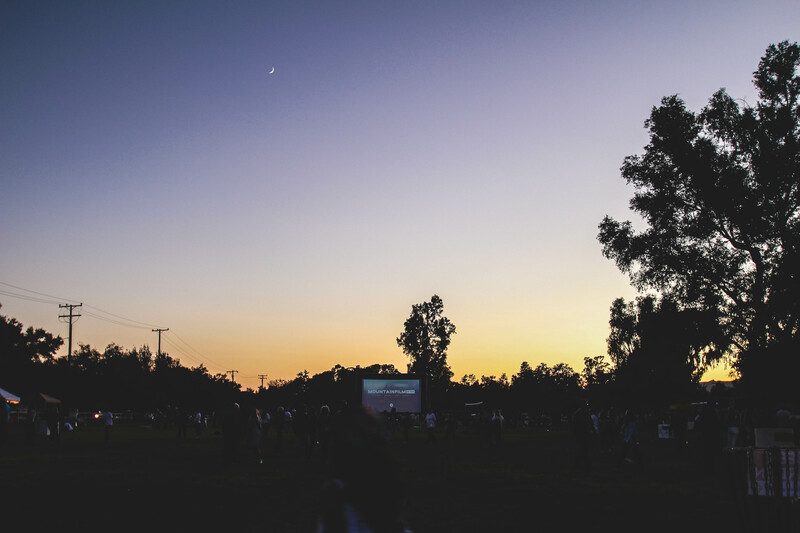 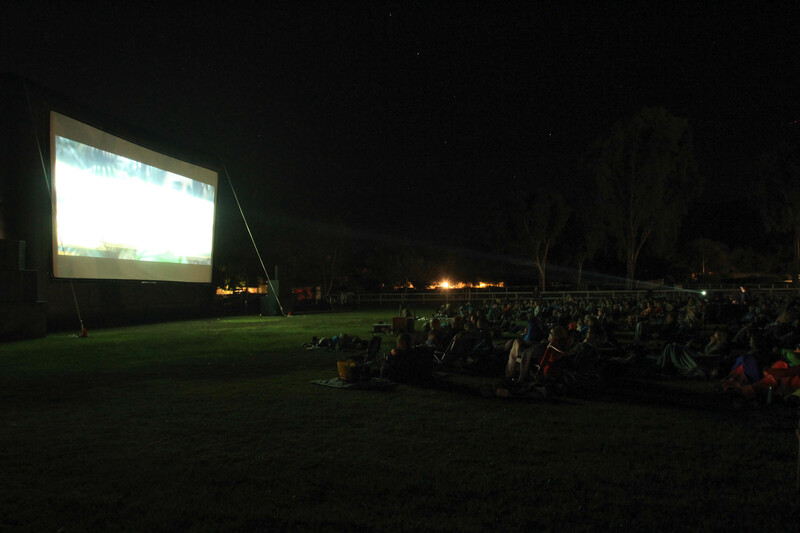 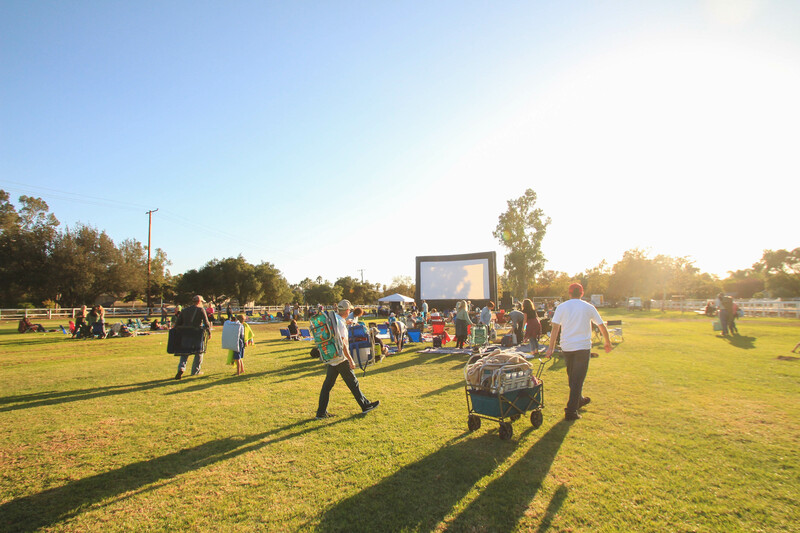 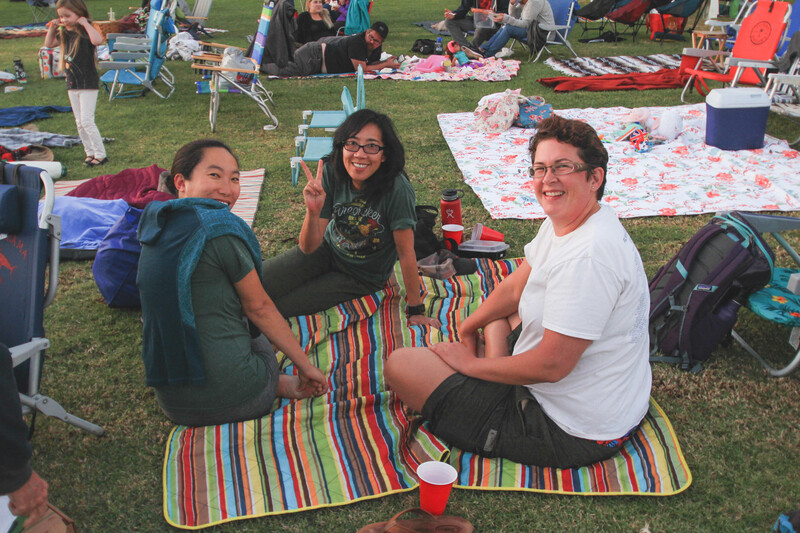 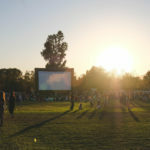 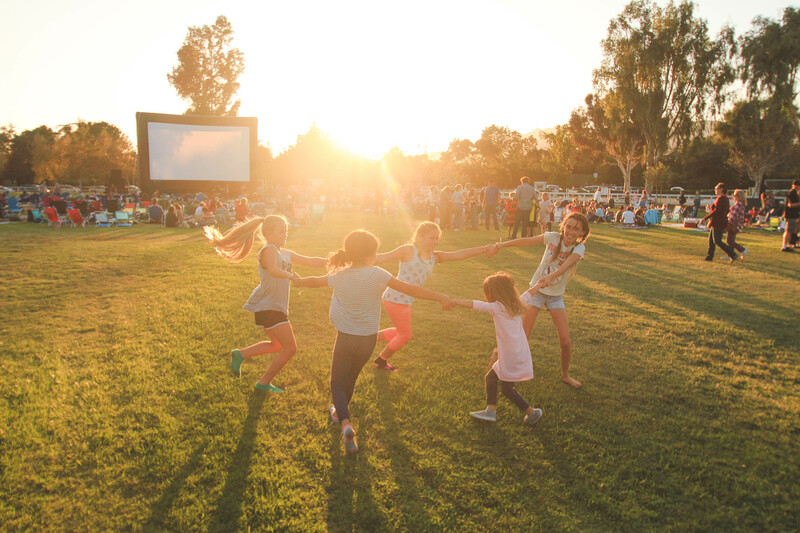 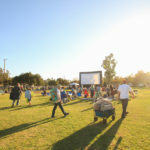 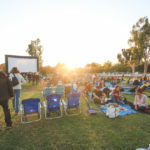 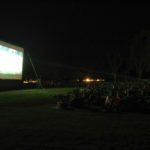 Pro Outdoor Movies, your projection and giant screen were amazing, and MTS Audio the sound was outstanding. 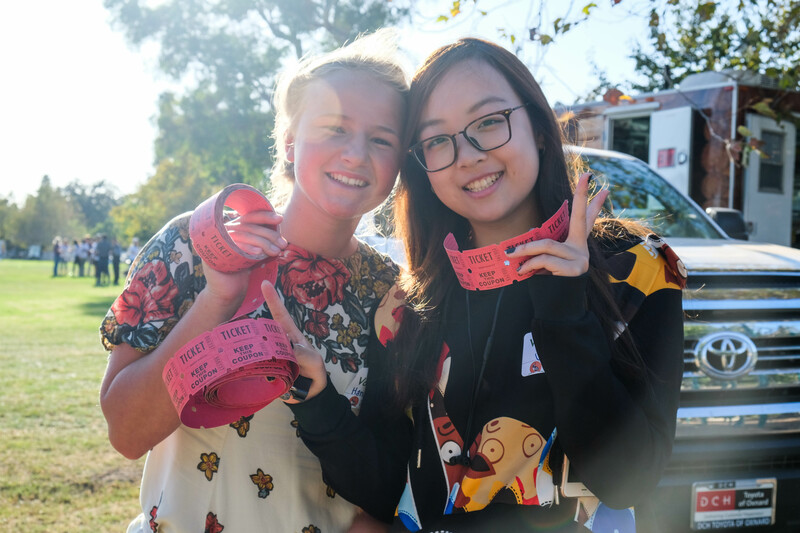 We can’t wait to have you both back next year! 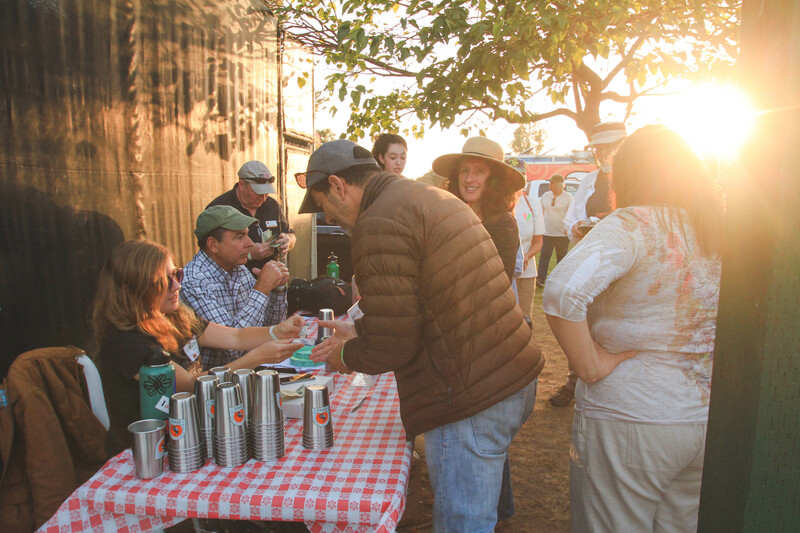 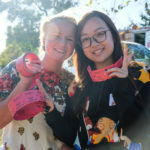 Volunteers – we could never pull off an event like this without you! 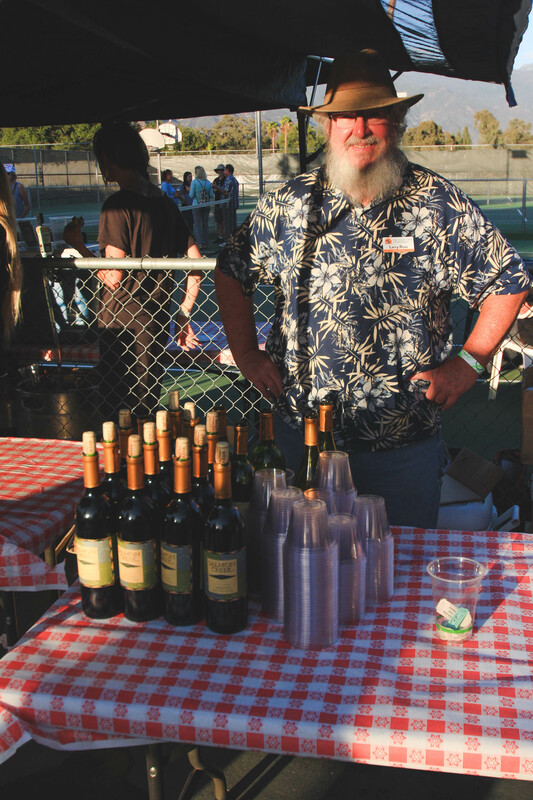 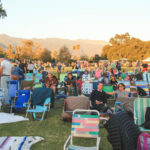 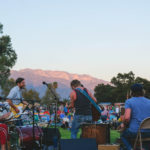 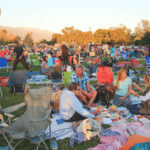 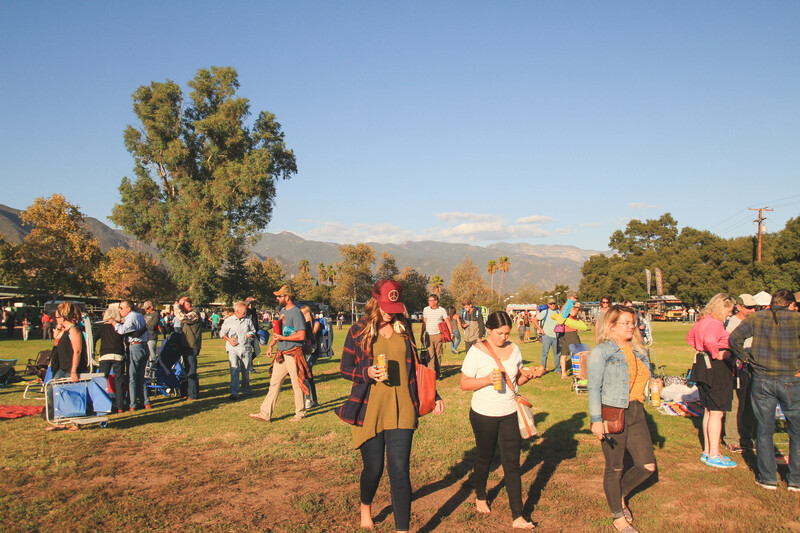 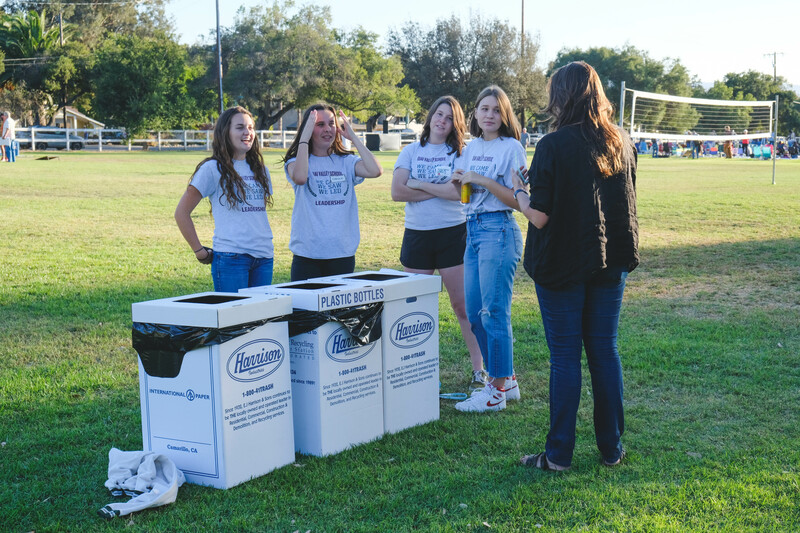 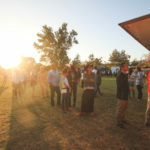 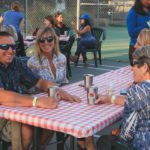 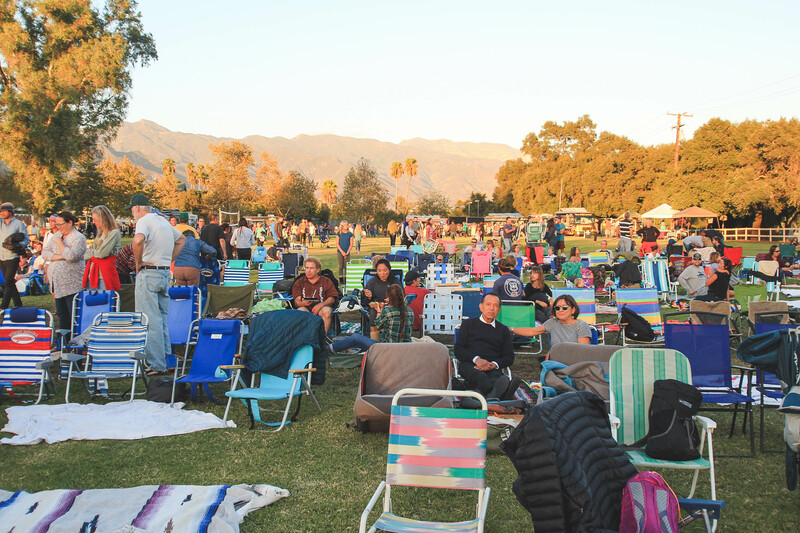 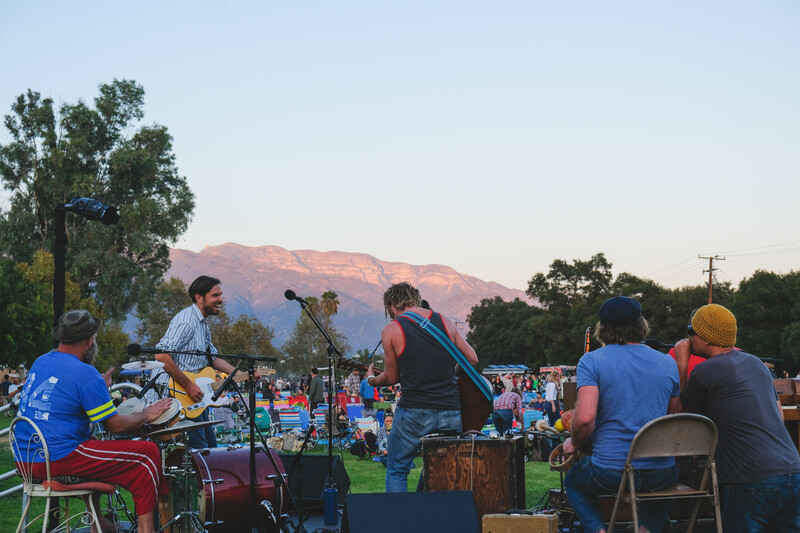 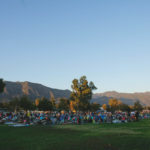 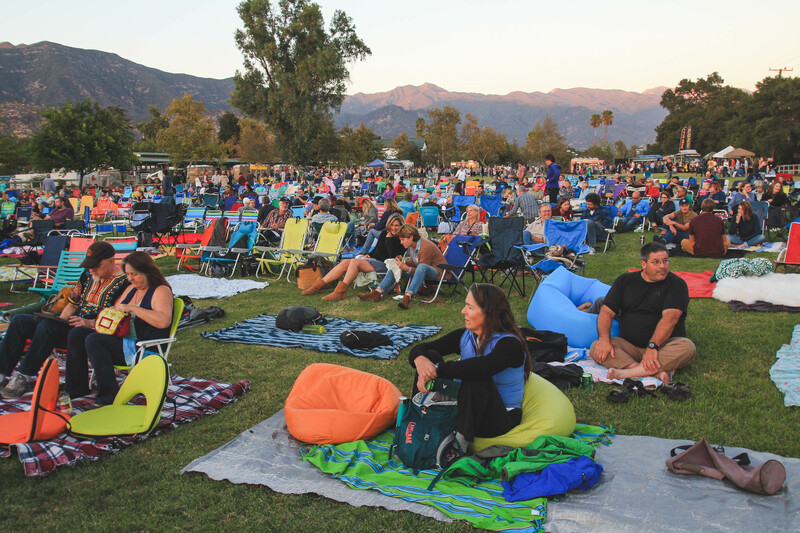 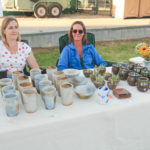 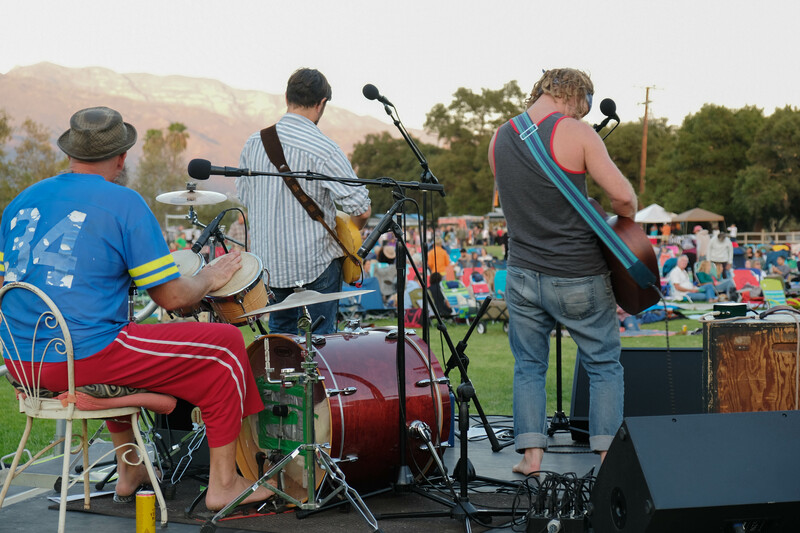 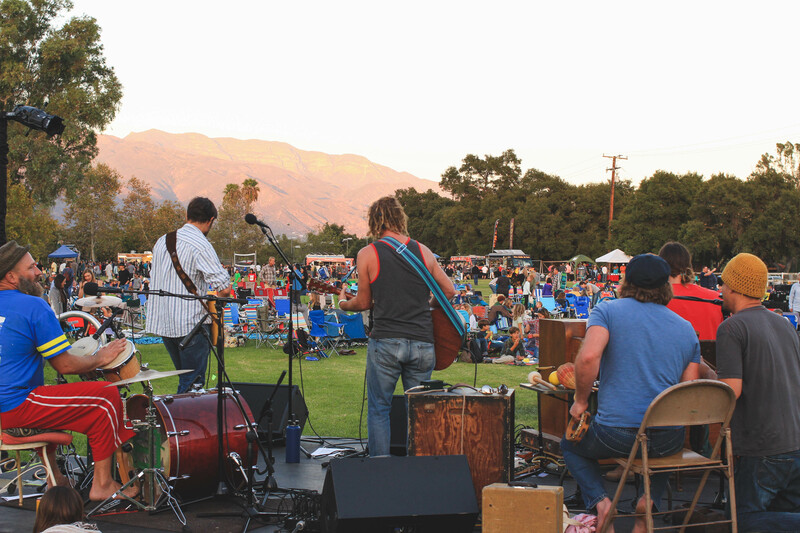 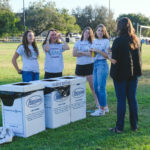 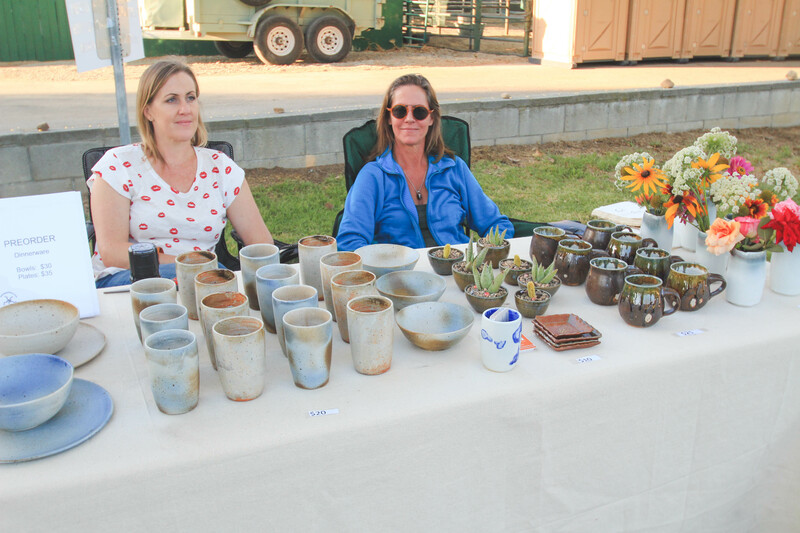 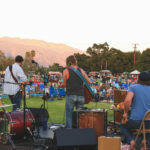 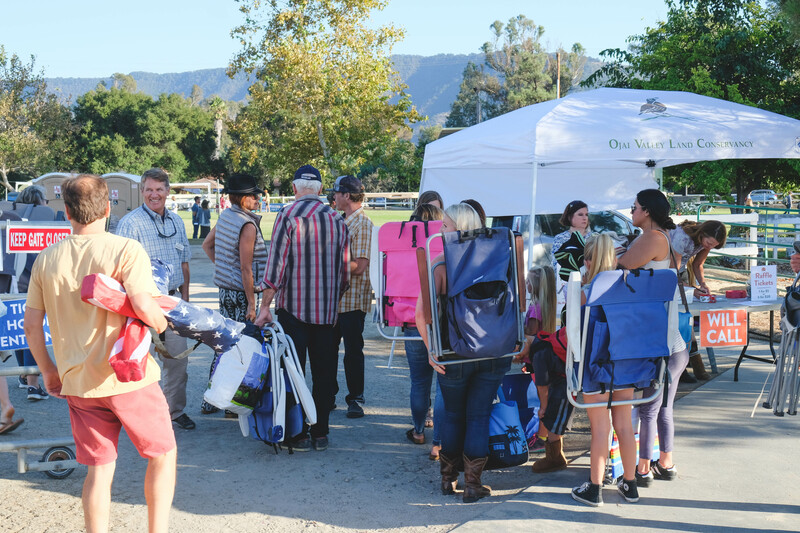 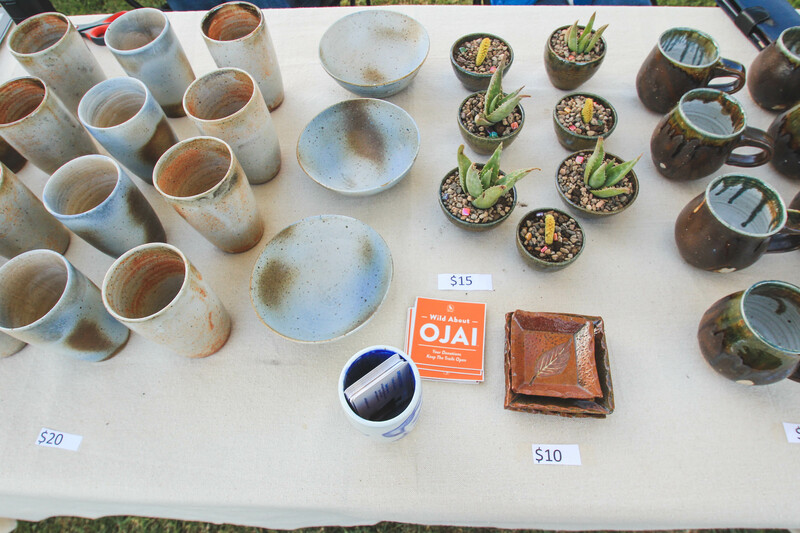 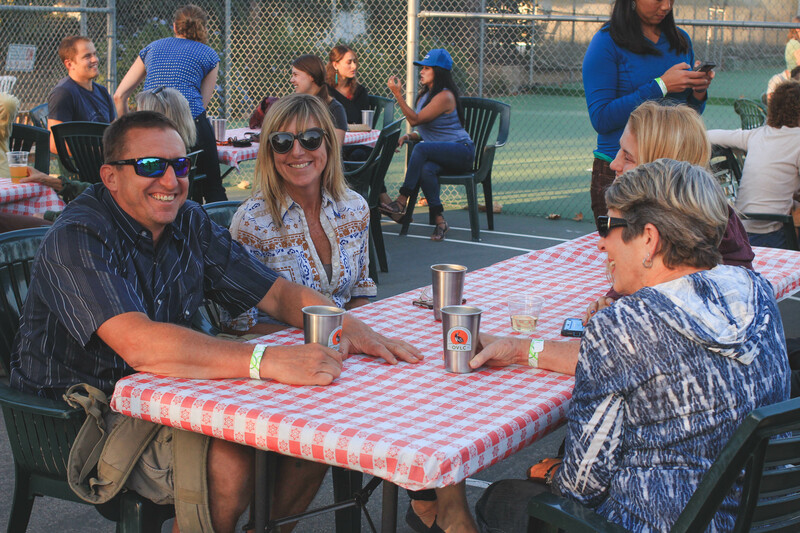 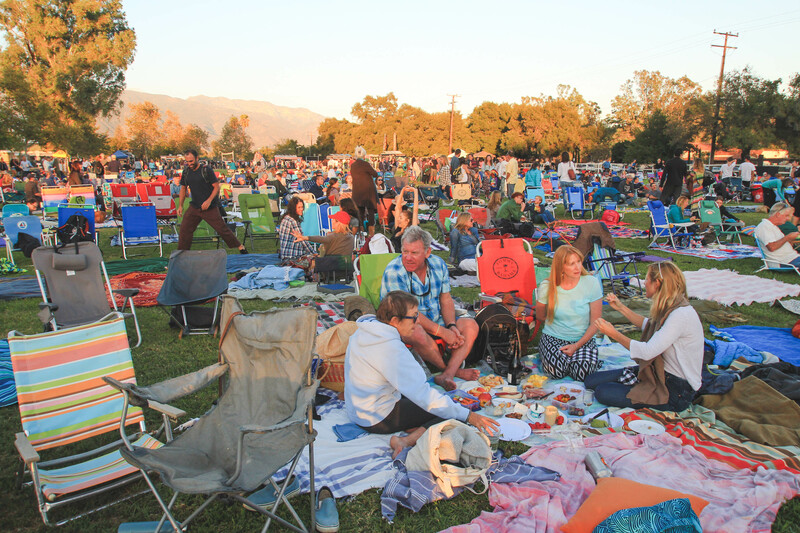 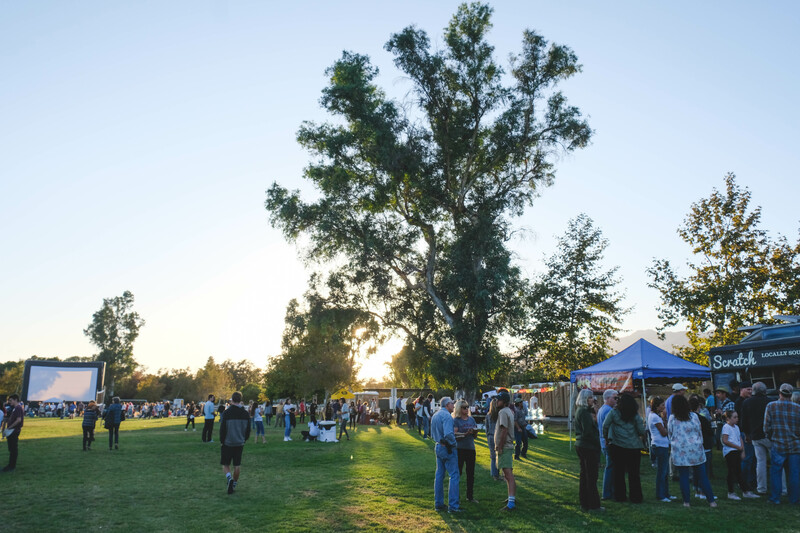 Ojai Valley School Alumni Association – thank you for providing a fabulous venue and another perfect Ojai night!